Telescope Gun Cop has a gun that can elongate out and shoot people directly in the face even if they are across the room. His gun also has a flash light. TGC went to a try out to join Axe Cop and Dinosaur Soldier, but they chose to not let him join the team when they procured a giant robot suit and decided they had all the power they needed to fight evil. 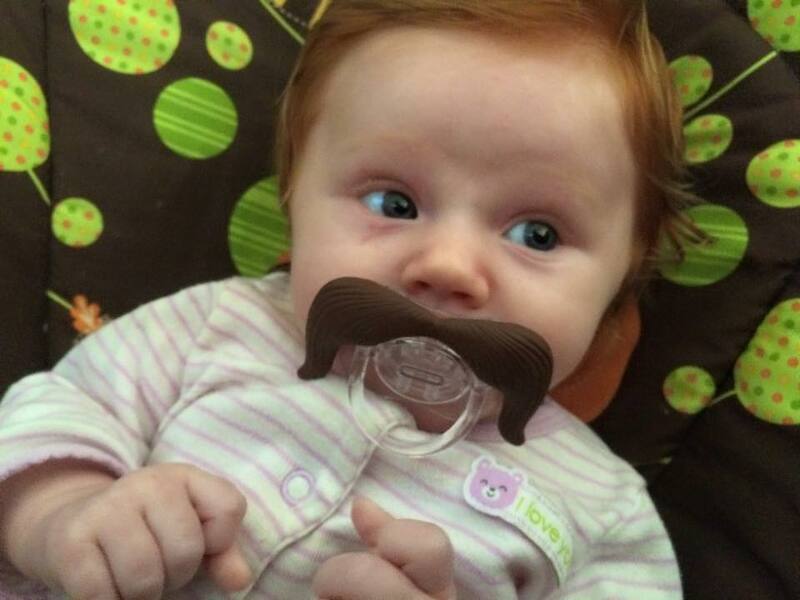 Embittered by the experience, TGC took Uni-Baby and used her powers to go back in time and poison Axe Cop and Flute Cop’s parents’ candy canes. He was finally defeated in a barrage of lemon and avocado grenade bombs in episode 3. Powers: telescope gun, flash light. 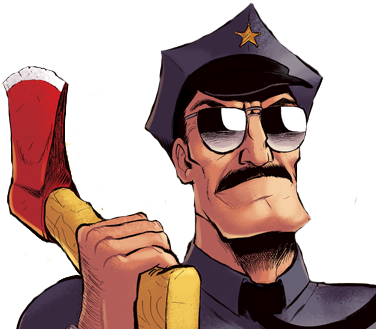 This episode of Ask Axe Cop is full of ret-conning, but it wouldn’t be Axe Cop if he didn’t switch directions on you when you least expected it. 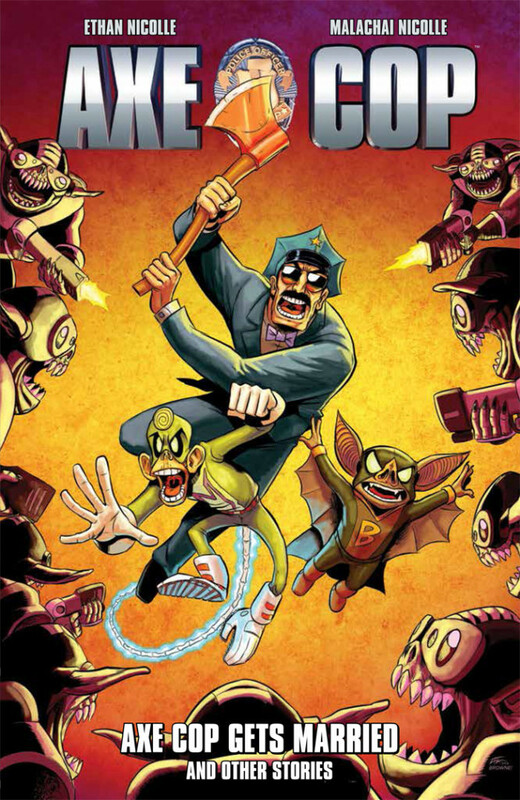 So, here we go… Axe Cop’s parents are alive, Telescope Gun Cop is dead, Flute Cop and Axe Cop are aware of everything. Axe Cop and Dinosaur soldier get a job at a fruit stand.